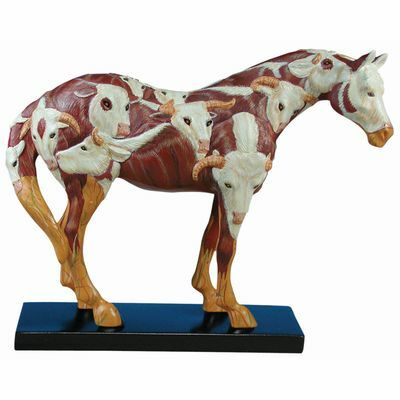 Cow Pony 1E | First Edition 1E Ponies Figurines | One Price Low Flat Shipping! From the Trail of Painted Ponies First Edition 1E Serial Numbered Collection, Cow Pony. Made of resin. Measures 6" tall.